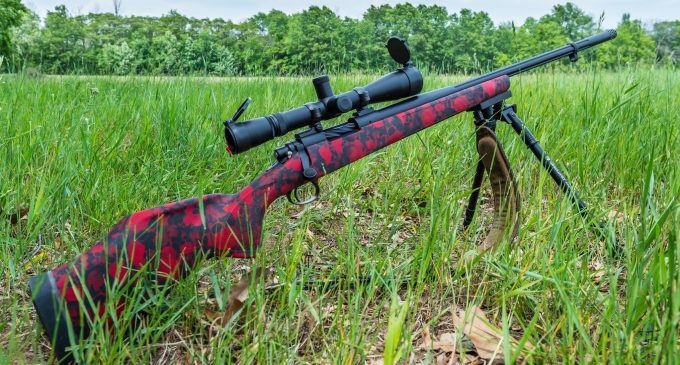 If you have a muzzleloader, then you need the best muzzleloader scope to go with it, right? It’s only natural that if you want such a scope, you could spend hours browsing through endless reviews and doing thorough research. But we’re here to help. We promise to give you detailed information regarding the selection process, to help you understand the basic factors that influence your choice. After that, we’ll take you through a selection of seven different scopes we’re sure you’ll like. In fact, most of these characteristics are summarized for each scope in the table below. Hopefully, all that will help you compare and contrast, in order to make the optimal choice for you. The main factors that need to be accounted for can generally be found in the specific features section. Each brand will disclose these characteristics, but you need to understand them first. After that, you can connect them to your purpose, and decide if a particular scope fits your needs. The dimensions of a scope appear as two numbers. The first one will tell you the magnification of the scope, or how big the rendered image will be. The second number is the diameter of the lens and tells you how much light can pass through them. As such, a smaller, 2x magnification allows for a bigger field of view and is better suited for brush hunting. Conversely, a wider, 10x magnification is better for long-distance shooting. 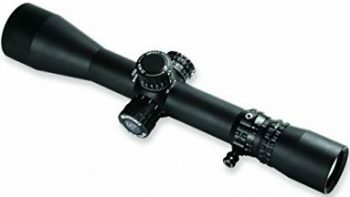 We like the products that offer an adjustable magnification, which can generally be found in the range of 3-9x for medium range hunting. When it comes to the diameter, you should know that smaller diameters account for less light transmission, so they don’t work in dim light. But most hunting is better at dusk or dawn, so get a bigger diameter, that’s at least 35mm. The coating will tell you how bright your image is. The simply coated scopes allow the most parallax, then the fully coated scopes do an average job at reducing blur. The best scopes are the multi-coated or the fully multi-coated ones, for crisp images. However, keep in mind that coating adds to the overall weight of your scope. A better coating also accounts for a price increase. You might not be interested in a great coating if you want to do short/ medium range hunting, or shooting in a faint light. There are different types of reticles, but they all have the same job of showing your aiming point. The thicker ones are better for dim light and brush hunting, while the finer ones are great for minute adjustments and long-distance shooting. The BDC reticles are the most common, but they require known distances to work. The MilDot reticles, on the other hand, can calculate the distance themselves, but they aren’t being used as much anymore because the laser reticles are more precise. The lighted reticles are really a perk, seeing as you can use them at nighttime too. Just don’t get an inexpensive scope with that characteristic, as they manufacture them so bright they eclipse the actual target. These are characteristics to always take into account. Having a waterproof scope guarantees you can use it in different weather, especially when it’s raining. We also like fog-proof scopes that don’t allow the formation of fog from the inside. That way, you can rest assured your image will be clear. Regardless, that doesn’t mean choosing an expensive item. As you’ll see below, a very cheap scope might be fog-proof, while a really pricey one might not. The shock-proof thing is also an asset. 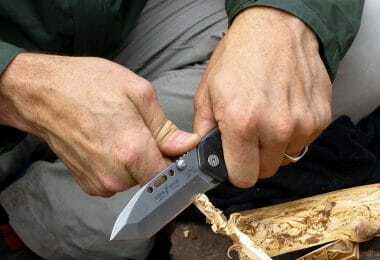 That minimizes recoil and it’s a real saver for your hands. It’s amazing for beginners too. 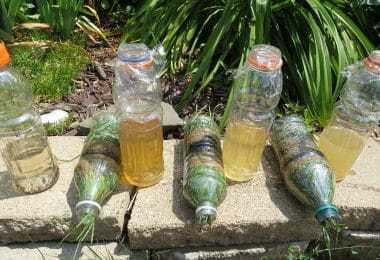 With that in mind, take a look at the products we’ve reviewed below. You can see how these characteristics intertwine and catch life to offer you a scope that’s suited to your preferences and budget. The seven items we’ll review below meet different purposes. 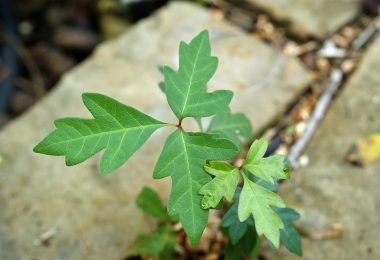 You’ll see their listed characteristics and what we recommend them for, as well as some other related products you might need. 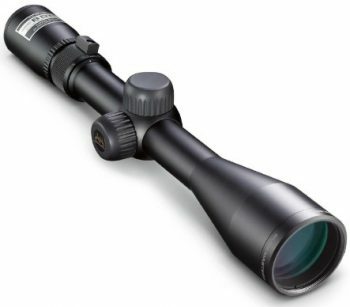 Description: The Simmons Truplex Reticle Riflescope is an 8-point riflescope which makes it appropriate for hunting. Its optics are very well made, starting with the fact that it’s a waterproof and fog proof item, that’s also immune to shocks of any kind. Therefore, you won’t even feel the recoils, which is a sure positive if you’re a beginner. We like the dimensions provided by this scope because it means it’s a real versatile item. You can shoot from close enough thanks to the 3x magnification. Or you can sacrifice the wider field of view to see more details with a 9x magnification. The lens diameter is 40mm and a lot of light can pass through this scope, so you can use it in dim light conditions. That’s a real asset for most hunting purposes, just like the windage and elevation adjustments it makes, or the Truplex reticle. And thanks to the full coating, you’ll be able to get crisp enough images, though the parallax can be quite annoying at times. The other obvious downsides start with the fact that the eye relief could be better, and the reticle isn’t always visible. Plus, although the magnification range is 3-9x, the scope doesn’t perform as well at an 8-9x magnification. But those defects are easy to ignore, considering the inexpensive price. Harder to find the reticle. Related: We recommend this UTG AccuShot Picatinny/Weaver Medium Profile Rings, which are very inexpensive and light scope rings. The two included rings have an unembellished, basic design and they work for 1-inch scopes. Plus, we like their sturdy build that means your scope will be held into place firmly, provided you tighten them properly. Description: The Leupold UltimateSlam Riflescope is a much more expensive muzzleloader scope, but it gets more positive reviews. For one, it has extremely clear optics, and no parallax whatsoever, unlike the Simmons scope. Secondly, it can hold the zero extremely well, and this precision is important when you’re doing professional hunting or shooting. The optics are extremely clear, and that’s probably because it’s multi-coated so you’ll have a brighter image, with minimal blurring. The magnification is adjustable here too, between a 2x and a 7x, so you can get a pretty wide range of view, but see details at a bigger distance too. That enables you to take rather precise shots even at 300 yards away. The Quantum Optical System provides a 33mm diameter, that’s enough for good light transmission and clear view at dusk or dawn. We like the Sabot Ballistics Reticle too, which is better than the Simmons Truplex. That’s because you’ll have more precise bullet drop measurements, so your shots will be perfectly aligned. The mechanics are a feat too since the windage and elevation knobs increase accuracy. We would have appreciated if those weren’t finger-adjustable, but automatic for this price. However, you can fiddle with them as high as 65 MOA, and that’s a plus. Related: The Leupold PRW Rings are just what you need to keep your scope in place. You can get any option, for a low, medium or high height, depending on your rifle. And they only weigh 6 ounces, so they won’t mess with your shots. 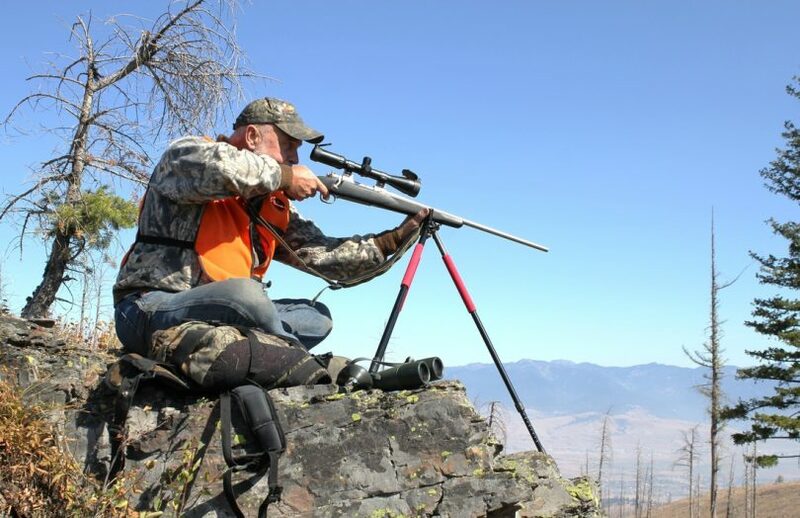 Description: The Leupold FXII Ultralight Scope is the heaviest scope until now, although it’s advertised as ultralight, so it might mess with the balance of your muzzleloader. But the good news is you can use it with most weapons, including crossbows. 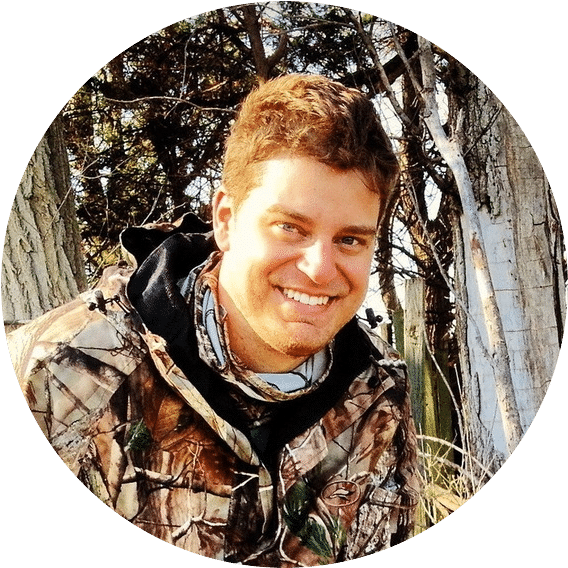 It’s not only for muzzleloader firearms either, it can go with shotguns too, as well as large caliber rifles, so you’re sure it’s a long-term, versatile investment. The optics are qualitative enough, but you can notice that this is the first scope with a magnification that isn’t adjustable. You only have a 2.5x, which means you’ll have a wider 147’ field of view, but it’s difficult to take accurate shots at further than 100 or so yards. That means it’s the sort of scope you would use for up-close hunting, where there are a lot of branches or brush. The 20mm diameter isn’t the biggest one on the market, so it’s a bit tricky to sue in faint light conditions. But the heavy posts it has definitely work for this sort of light. The eye relief is something we appreciate since it’s quite big at 18”, which means you can aim your target really fast. The windage and elevation are finger-adjustable too, and this scope is also waterproof and fog proof, just like the Simmons scope. Its ruggedness is another plus, just like its easy setting up and accurate instructions. And don’t forget the fully multi-coated optics, which guarantee crisp images with no parallax. Related: We love the Leupold STD Marlin 336R to go with this scope. It has a sturdy construction, and a sleek look. Plus, it’s made from machined steel, so you know it’s resistant enough and it comes with mounting screws too. Not to mention the easy attachment, the accessible price, and the fast shipment. Description: The NightForce NXS Riflescope will definitely take you to the bank because it costs way more than all the items reviewed here. However, it’s definitely worth every penny considering it has an adjustable magnification range, between 2.5x and 10x. That means you can hunt both in brush or in an open field, regardless of weather as it’s waterproof. The 42mm diameter is wide enough for optimal light transmission so it works in dim light too. But the best news is that it’s an illuminated scope, so you can use it at nighttime too. The zero stop is a feat, and you won’t have to take any shots after you set it. The MOAR reticle is a real advantage for precise bullet drop measurements, meaning you’ll get straight shots, and hit your target every time. The optics are really clear, thanks to its fully multi-coated design, and the 30mm tube is extremely sturdy. The parallax knob is indexed to obtain maximum clarity, but it’s not marked. You might also like the side focus adjustment, which enables you to hold the crosshairs steady. However, the illuminated reticle may take you a while to get used too, especially since it’s battery powered instead of tritium. But it does have both a green and red light, to suit the backdrop. A wide range of magnification. Related: For this scope, you should consider getting the Nightforce Optics 1.125″ Unimount Scope Mount. We like this item because it has a 20 MOA taper that increases the long-range capability, and 30mm rings that are exactly what the Nightforce muzzleloader scope needs. Plus, it can remain on the scope after you attach it to the fixed Picatinny rails, so you can remove the scope fast. Description: The Leupold VX-2 Rifle Scope is in the middle price range again, and it does what it advertises. With an adjustable magnification of 3-9x, you can hunt in various circumstances. As such, at 3x, the field of view is quite generous, so you can use it for brush hunting. Conversely, at 9x, you can perceive more minute details and take precise shots further away. The 40mm diameter is another plus for shooting in faint light conditions. Regardless, this scope doesn’t have an illuminated reticle for nighttime hunting, which would have increased its total price. The Duplex reticle could be better itself, so don’t expect precise bullet drop measurements. The eye relief is rather small too, at just 4.7 inches, so you can’t aim as fast as with the Leupold FXII scope. Conversely, the externally threaded eyepiece may help in that department. The DiamondCoat coating is quite good though for minimizing blur, though it’s not a full multi-coating. But the overall performance is great thanks to an argon and krypton mixture, that renders this scope both waterproof and fog proof. The focus could be faster. 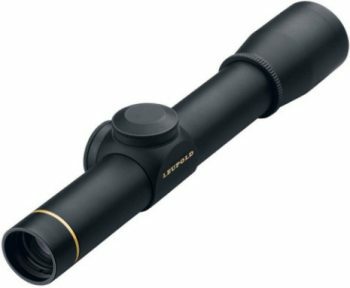 Related: The Leupold Ring Wrench 48762 is a reliable ring wrench you can use with this scope. In fact, you can use it with all the rifles and scopes that are retailed by Leupold and we like it because you can set up the mounting rings with no damage to the rifle. It’s better suited for the 30mm or 1-inch rings, though, and it comes with a full lifetime guarantee, which is always a perk. Description: The KONUS Muzzle Loading Scope is in the low price range, though it has reliable optics that help your shots. The ballistic reticle included is really accurate and helps increase the range of your shots, thanks to the aiming points that depend to specific distances. Besides, the reticle has lateral hash marks which help you out when it’s really windy. The fully multi-coated lenses equal a bright image, with minimal blur around the edges. 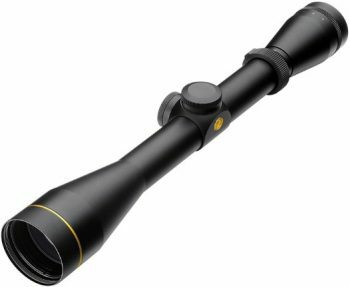 We also appreciate the 9x magnification which helps you out for long-distance hunting, as well as the 40mm diameter for the lenses which does miracles in dim light. However, the eye relief is just 3 inches, so you won’t be able to take really fast shots. On the other hand, there’s an included fast focus eyepiece. Another disadvantage relates to the fact that it doesn’t maintain the zero, so you’ll have to fire a few shots to get that right every time. That’s not really good for beginners. But the thing is shockproof, so there will be minimal recoil, which is good if you’re not a pro, or if you’re hunting the whole day. Plus, this scope is also waterproof and fog proof, so you can use it regardless of the weather. Related: The Blackpowder Products Durasight Ring/Base System is something you can consider getting for this scope. Even if you decide on another scope, it can work with that too, provided its lens diameter is under 50mm. This is for high height rifles and muzzleloaders though, and it’s one of the sturdiest mounting systems available. That’s because it’s made from a Z2 alloy that’s way sturdier than aluminum. Description: The Nikon Buckmasters II BDC is a versatile scope, considering it has a 3-9x adjustable magnification. This is a classic choice for most hunters, seeing as you can hunt in brush and at a medium distance alike. The 40mm diameter is another good feature, seeing as it’s perfect for optimal light transmission and dim-light hunting. The multi-coated lenses generally have a poorer performance than the fully multi-coated ones when it comes to bright images. However, in this case, these lenses have an anti-reflective system which offers 92%anti-reflection. Plus, there’s the 100-yards parallax setting. The BDC reticle has a trajectory-compensating design, which means you can have fast aiming points in the short distance range. This reticle is great for long distance shots because it’s comprised out of see-through circles. They also work great for a shorter distance, because the aiming point is the actual crosshair. We love the construction too since the housing is completely waterproof and fog proof. Plus, thanks to the O-ring seals and the nitrogen filling, moisture will never get inside and ruin it. And you’ve got the limited lifetime warranty to guarantee all that. We like the click adjustments for the reticle that helps you zero this scope fast. 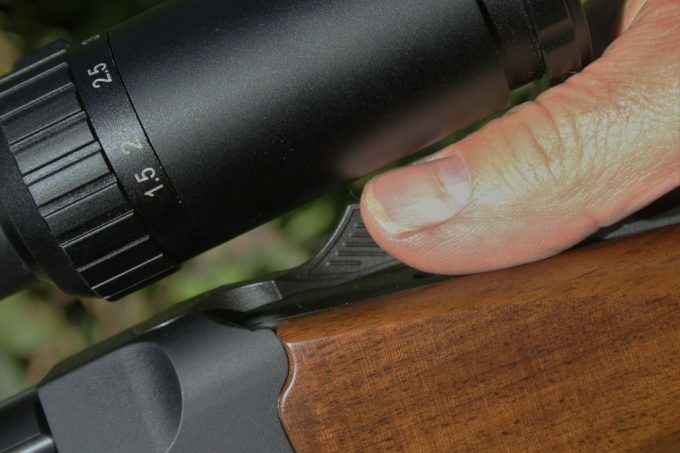 Unlike the KONUS scope, the zero is maintained in any circumstance, even when there’s a lot of recoils. But the eye relief could be better, and there aren’t many adjustments it can do. However, keep in mind that this isn’t an expensive product, and it works great for distances smaller than 200 yards. Eye relief could be better. Related: We like the Accushot UTG High Profile Picatinny/Weaver Rings that are made for 1-inch scopes. They come in a package of two and they provide user-friendly hex screws, which have retention features. That means you’ll get a secure fit after you set them up. Not to mention that there aren’t any issues in that department either. They can go with any rails, whether Picatinny or Weaver and they’re sturdy enough thanks to a precision machined aluminum alloy manufacturing. 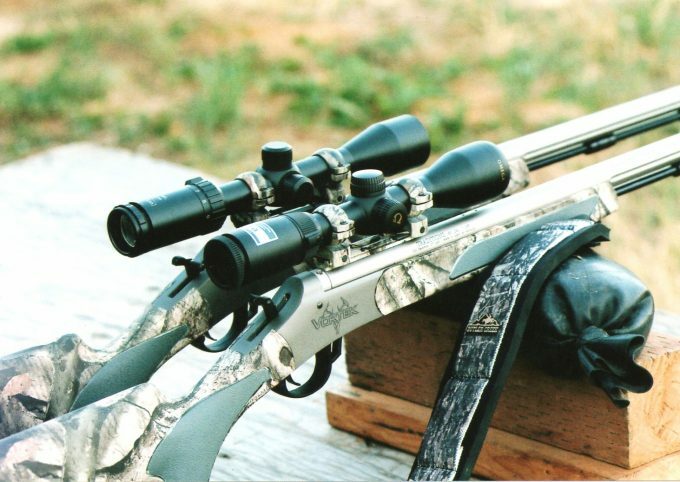 After reading all that, we think you’ll agree that we’ve reviewed a wide variety of muzzleloader scopes. 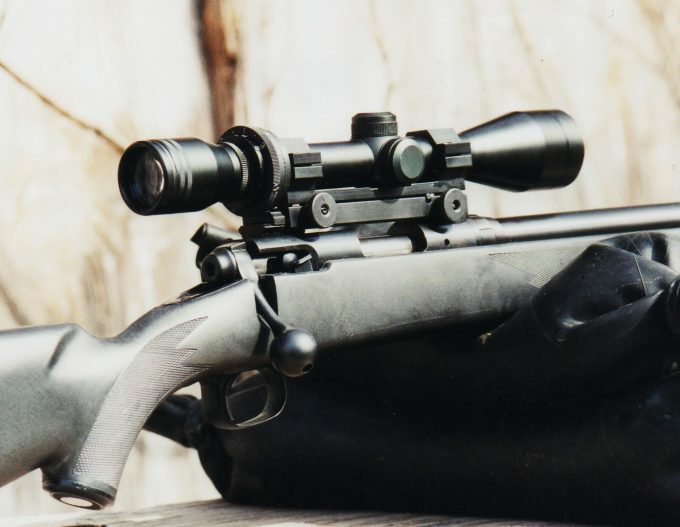 There’s the Simmons scope, an inexpensive item, that offers a decent magnification for medium range hunting, and fully coated optics for an average image. At the opposite end of the price spectrum, The NightForce NXS offers a bigger magnification adjustment with fully multi-coated optics for crisp images and a state of the art reticle that allows night hunting too. There are also fog proof, shockproof and waterproof scopes, while other ones, like the Leupold UltimateSlam, allows the formation of fog. So in the end, the choice is yours, but let us know too. What will you get? What have you missed? Do you already have one of these scopes? The comments are below!